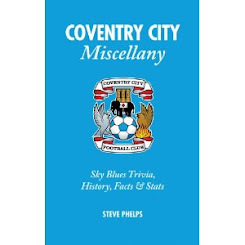 This is my blog on Coventry City Football Club written by a City fan for other Sky Blues' to read and comment. 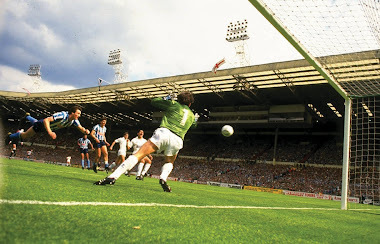 The opening day of season 1982/83 welcomed England’s World Cup goalkeeper to Highfield Road as Peter Shilton made his Southampton debut. 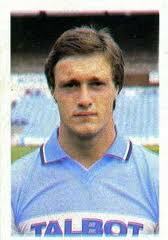 At the other end of the pitch, due to an injury to Les Sealey, 16 year old Perry Suckling kept a clean sheet in the Sky Blues’ 1-0 win and belied his youth with a fine performance. 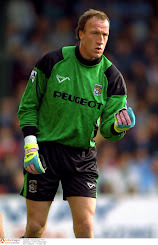 He would go on to make 29 starts for City before joining Manchester City in the swap deal which brought FA Cup winner David Phillips to the club. Mid-September saw Jim Melrose score a hat-trick on his home debut as Everton were defeated 4-2 in the same game which saw Garry and Keith Thompson take to the field – the first brothers for over 60 years to appear for City. 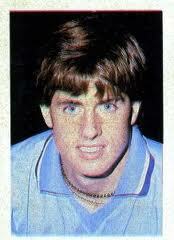 Scotsman Melrose scored 10 times in 29 appearances during a brief stay before he moved to Celtic. 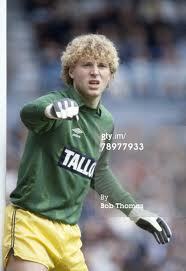 Spurs’ Garry Brooke scored a six minute hat-trick past Sealey weeks later as City lost 4-0 before Steve Whitton stepped up and smashed home unstoppable strikes from range against Luton and Brighton – on his 21st birthday in front of just 8,035 supporters . 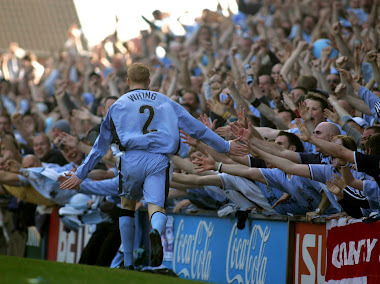 His shooting prowess was some of the best seen at Highfield Road (in my time) and following his summer move to West Ham he would fire an unstoppable effort past Perry Suckling the following September in the Hammers' 5-2 win at Upton Park. Brian Roberts’ first ever goal for the club after 192 games inspired the side to a 3-0 win at West Ham before Peter 'Chukkie' Hormantschuk followed suit with a strike that Manchester United’s Gary Bailey fumbled into his own net as City defeated Big Ron's 'Red Devils' to triumph 3-0 just after Christmas. 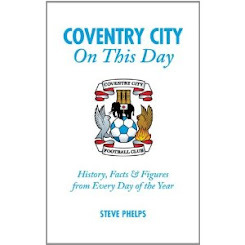 His own team-mates were in shock as you can see below at his only goal for City and he moved on to Nuneaton Borough, similar to Kevin Malaga, after 29 appearances for his home-town club following the arrival of fellow local lad Kirk Stephens. 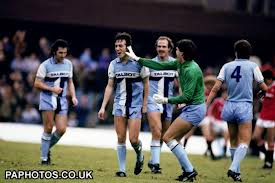 The goals continued to flow into February as a classic from Mark Hateley was too good for Manchester City and a 4-0 thrashing ensued in front of the TV cameras. 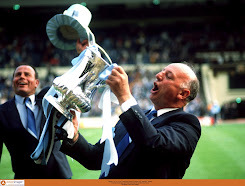 One win in 15 games ensured safety was not guaranteed until the penultimate game as I came across the word relegation for the first time – like a bad smell it would not go away and still interrupts my sky blue thoughts on a daily (hourly) basis. 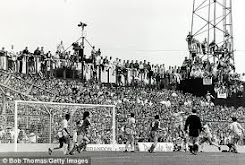 Birmingham City won at Highfield Road in mid-April with a late winner – so bad was the performance a fan ran onto the pitch and threw down his shirt in front of the dugout. He was only venting what we all knew – we were in trouble and only a 3-0 win at Stoke kept our heads one place above the drop zone as Manchester City plummeted down the table and into the second tier. From the side who took to the field at Yeovil on the opening day only Joe Murphy, Richard Wood, John Fleck and Callum Ball are holding down a regular role in the team. Jordan Clarke now faces fierce competition from the rehabilatated Cyrus Christie while Reece Brown has joined Adam Barton and Billy Daniels in being quickly removed from the first team picture. Carl Baker has frustrated the City faithful along with Gary McSheffrey - both a huge disappointment when we know they can do so much better. Perhaps the biggest victim of the mass change has been Cody McDonald - I wrote prior to the opening day how I expected him to reach 20 goals this season yet how wrong could I be. I still maintain he is a genuine goal threat but when you play as narrow as we were and have poor service from Clarke and Hussey (in the first ten games) then your goal output will suffer. We have the opportunity to move through the gears during the approach to Christmas, stay unbeaten and we could be in the mix come the new year. The signing of McGoldrick is key, let's hope plans are in place to make the move a permanent one. This site represents my views only .....what a great team we support...... Simple theme. Theme images by Airyelf. Powered by Blogger.